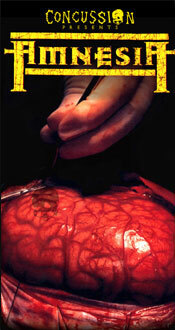 Originally released in 2001 on VHS. 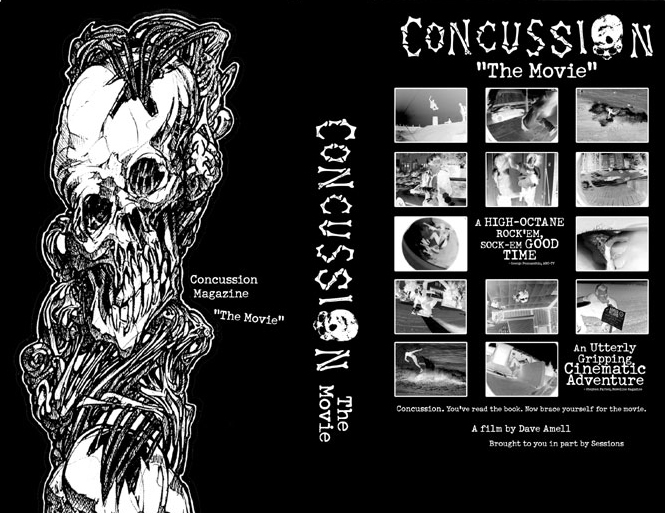 Re-Released in 2003 as a double DVD together with Damaged from Concussion Magazine (1995-2008). Featuring: Steve Bailey, Pete “the Ox” Colpits, Wade Speyer, Chad Shetler, Eric J., Texas Dan, Ben Tobolski, Crazy Eddie, Punker Matt, Chris Romero, Tony Farmer, Royce Nelson, Neal Hendrix, and way more. Filmed by Jonathan Hay, Dave Amell, Davoud Kermaninejad, Justin Gold, Sean Wood, Lee Charron, Brian Moll, Ben Tobolski, Jim Gingery, Eric Stahl and more. Music by Zeke, Prevail, ACDC, Monolith, Dwarves, In the Red, Hangman, Funeral, Monolith, Supersuckers, Murder City Devils, Kyuss, and High on Fire. "302 Cubic Inch V-8 Powered Blues"
The original concept for the cover, it was going to be called Concussion the video, but we changed it to Amnesia last minute.